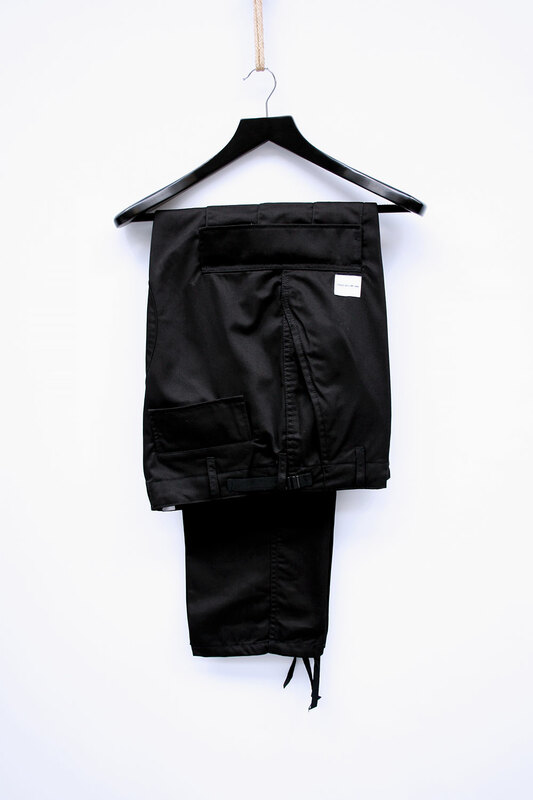 mki cargo pant. heavyweight 65/35 poly/cotton construction. button fly and closure with adjustable side straps. 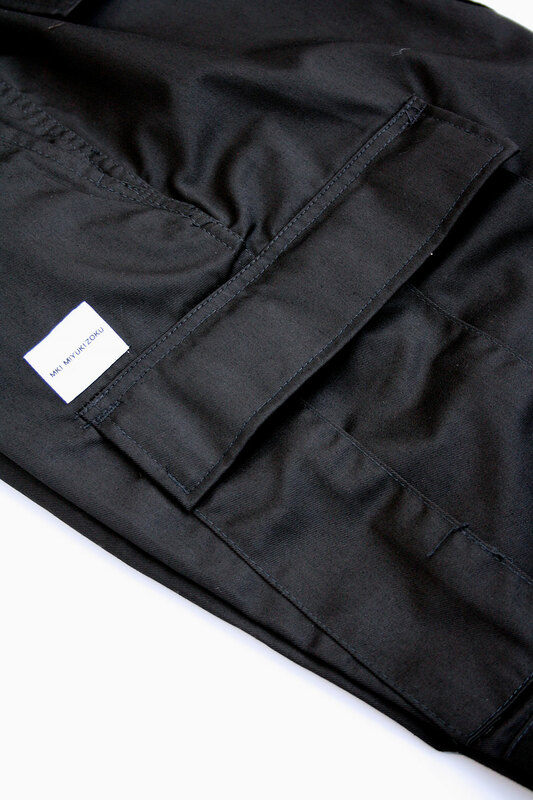 twin side entry pockets. 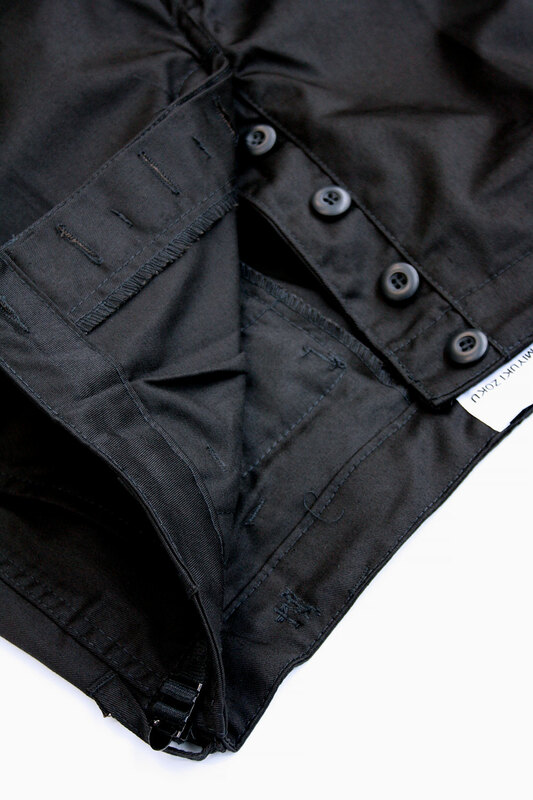 twin rear pockets. 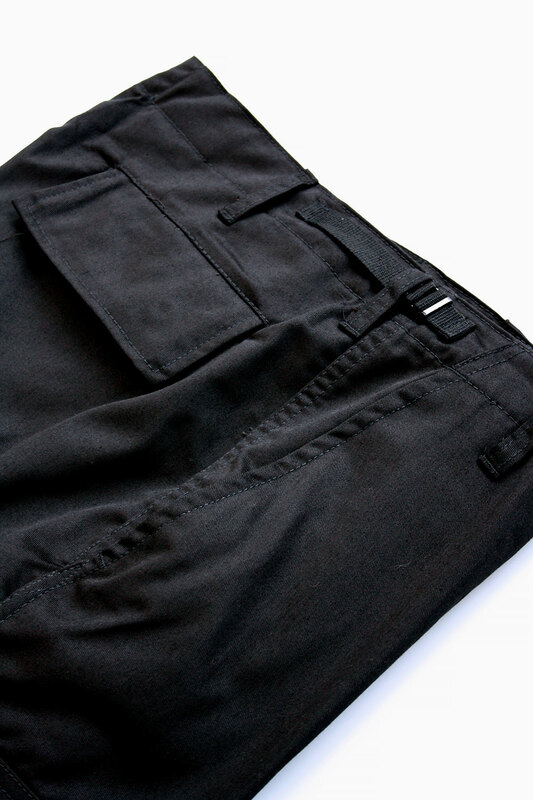 twin cargo pockets. 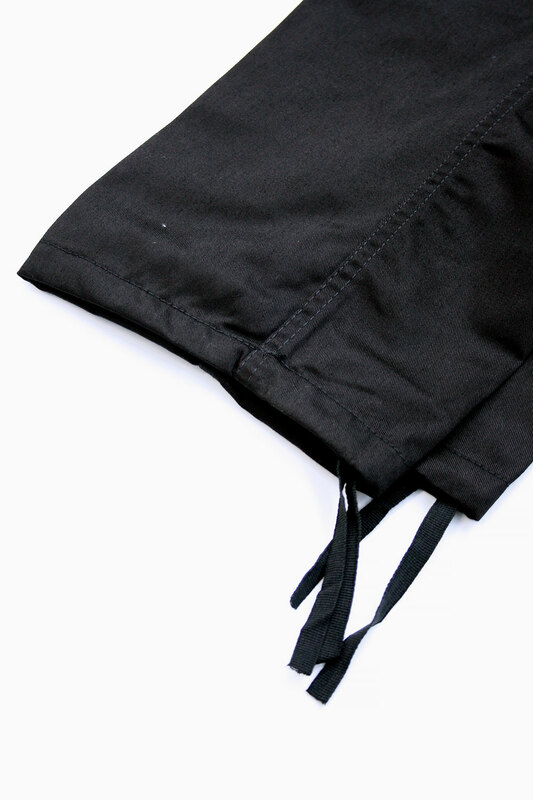 drawstring adjustable cuffs.